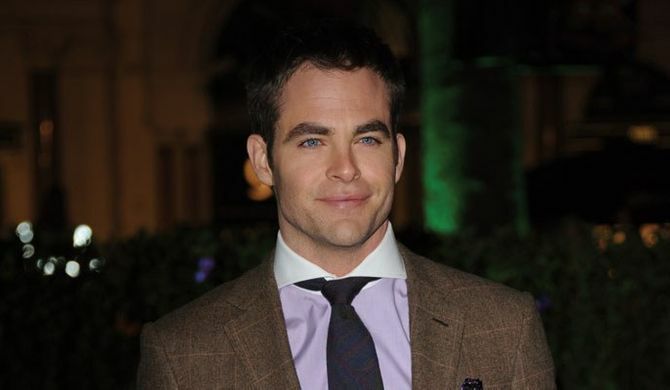 Chris Pine has firmly established himself as a credible Hollywood actor. The 32-year-old is perhaps most noted for his role as Captain Kirk in Star Trek three years ago, but also proved a hit in Tony Scott's Unstoppable. And now the actor has taken the lead role in Rise Of The Guardians - an animated fantasy adventure movie based on William Joyce's series of books, The Guardians Of Childhood. In it he plays mischievous Jack Frost, who's asked by a group of Guardians - including Santa Claus, Easter Bunny and The Tooth Fairy - to help protect the children and stop Pitch from engulfing the world in darkness. The cast reads like a list of who's who in Hollywood and includes Isla Fisher, Alec Baldwin, Jude Law and Hugh Jackman. We sat down with Chris - who's currently filming thriller Jack Ryan - to hear how he coped with his first animated film, his hopes for the upcoming Star Trek sequel and his memories of director Tony Scott, who tragically committed suicide earlier this year. Rise Of The Guardians is about childhood and childhood fears. When you were young, what were the things that scared you? I think fears like any other kid has - the dark and being by yourself. It actually struck me while making this film that most of the fears you have when you’re a kid are to do with being alone; being on your own and not having the safety net of your parents or a support system. In many ways I think that’s what Jack is dealing with in the beginning of the film. He feels like an outsider because his safety net was ripped out from under him so early on in his life and he’s had to make his own way. When the Guardians ask him to be a part of this group, it’s a group that he’s wanted to be a part of for a very long time. What I think hopefully makes Jack a compelling character is his earnest quality - he wants to be loved and he wants a family. I like the pure heartedness and simplicity of the story. There’s an earnest quality to Rise Of The Guardians - there’s a joy and belief in imagination. Did you enjoy working on an animated children’s film as opposed to an action movie? This film in particular was difficult. First of all, doing voice work, often actors make jokes because there’s no hair and make-up and you’re wearing sweat pants to work. That’s true, but it’s very difficult work. Being new to it, I have a really profound respect for people who do it because your palette is finite - it’s your voice. I remember listening to Alec [Baldwin] and he did some beautiful work. He goes big and then he goes small, then he goes gruff and then he goes light. Moderating and modulating that is really tricky, it’s almost a musical score in itself. For me the great joy was working that muscle. Secondly it was finding a way to fit my voice into something that had a lot of big voices - Alec’s voice is big, Hugh [Jackman’s] is big and Isla [Fisher]’s kind of chirpy and fun. A lot of it is finding your place in that composition. I thought it would be easier to work opposite your fellow actors, so early on I asked if I could work with Alec. I got in the booth with him and Alec has done this before...and he’s trying stuff and going back to the beginning of the scene and trying it again and saying one word over and over again. I was there trying to figure out when I was supposed to start talking! What I found out two years into the process is that it’s your job to give them as many different colours as possible, and then they pluck and pick bits. So it’s much easier to be alone in a booth figuring it out on your own. Being shut away on your own recording, do you miss the camaraderie of being on set? It’s a whole different muscle - technically speaking - and it’s a whole different experience. I prefer working with other actors. This is a very solitary experience - you do have your director, producer and engineer, but it’s very self-reflective. You do it and you hear it, then you watch it patched into some animation that they have and you think, ‘Well that doesn’t really work’, so you do it again. Did you get to play around with the script at all? There was a fair bit of improvisation. But it’s the curse and the blessing of playing the leading role - you don’t get to do the fun, big, punchy voice stuff, you have to ground him in that earnest central role. There are a couple of emotional points in the film that I got to do it in. He’s a kid that feels abandoned and when he finally gets seen - that was an improvisation in terms of reworking it, tinkering with it, taking stuff out and adding stuff. Peter [Ramsey] and Christina [Steinberg] - the director and producer - and the writer David [Lindsay-Abaire], were very open to our suggestions. Do you like working on animated features because you can also work on other movies simultaneously? I’ve done three movies or something since I’ve been involved in this. Theatre is so much fun and you know if you do theatre you have a month working it out on your own, then a month of rehearsals, by the time you get to the stage you know where you’re failing and where you’re succeeding - your boundaries are pretty concrete. With film, often you work in vacuum and then you get on a high wire and then you try it and that piece of film exists somewhere in a vault and then that’s it. Rise Of The Guardians was four years and I got to go back in and hear it. We’d change the dialogue and then I would hear it again. By the time it comes out it feels more of a theatrical process - I felt like I got a good shot at all of it and really knowing where I had to change it and when I felt comfortable with it. I really liked the process of going back in, it was very nice. Star Trek was a worldwide hit. 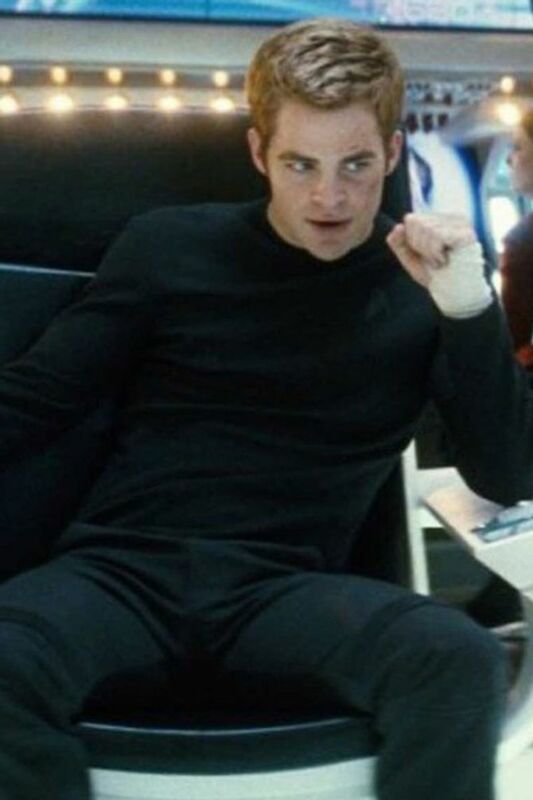 Do you feel pressure for the sequel Star Trek Into Darkness to perform as well? Yeah of course! It’s a multi-million dollar movie - a lot is riding on it to be a success. What helps the anxiety is that you have J.J. [Abrams, director] who’s a great leader, you have a really good team behind you and I really authentically like the people that I work with. I’ve grown to have a great affection for them and going to work tends to be fun. So you deal with the anxiety and then you get there and it just becomes another gig. We live in a world with internet, where people can say anything - and people say a lot of awful things - but it has to be water off a duck’s back. I remember Denzel [Washington] saying that when I worked with him on Unstoppable. But it’s not a normal gig...as Captain Kirk you are portraying one of the most iconic characters in science fiction. Did you realise the weight of expectation that there would be on you? I didn’t know much about the series before, but I’ve learned a lot about it since. I try not to think about it. But I’m just another actor and I got really lucky. You do have those moments where you can appreciate everything, but if I stayed there too long, I would be brighter than the sun. You’ve played iconic characters such as Star Trek’s Jim Kirk, Jack Frost and you’re currently filming Jack Ryan. What would the younger you have thought about portraying these icons on the big screen? I don’t think he would have cared! As a kid I didn’t really want to be an actor at all - I loved Mickey Mantle and I was a huge baseball fan. I remember going to film sets as a kid and for my family it was a workaday kind of thing. There were really good years and there were bad years, it was just the job that my dad [Robert Pine] had. So to answer your question, I don’t think I would have really thought anything about it, but being in it now I’m very aware that it doesn’t happen often. I have had some great opportunities and it’s been really really fun. What are your memories of working with the late Tony Scott on Unstoppable? Tony was a lovely, lovely man. I didn’t know him well other than working with him, but it’s been beautiful listening to what people said about him after he passed. I think we all shared a similar experience with him - once you entered Tony’s world you became part of his family. For all the machismo of his films, Tony at heart was a really lovely, gentle man and he was so concerned with what others thought. I remember one night after work I was supposed to see him, but he couldn’t make it for whatever reason and he sent a note. It was always a hand-written note on Tony’s stationary and a bottle of his favourite wine. His passing was tragic and it hurt me more than I expected it to. Rise Of The Guardians is a Christmas film and it’s got a Christmas release. What are your memories of Christmas? I love Christmas. I didn’t grow up in a religious family, but we were definitely a family that enjoyed ritual and one of our great rituals was Christmas. It had everything to do with when we got the tree, where we got the tree and what kind of tree it was. We’d go out into the garage and get all of the decorations - decorations that had been passed down - and put them up. We’d listen to certain Christmas albums - Billie Holiday, Frank Sinatra, Peggy Lee. All that kind of stuff that makes a family. It’s my favourite part of the year. Rise Of The Guardians hits cinemas on 30th November.